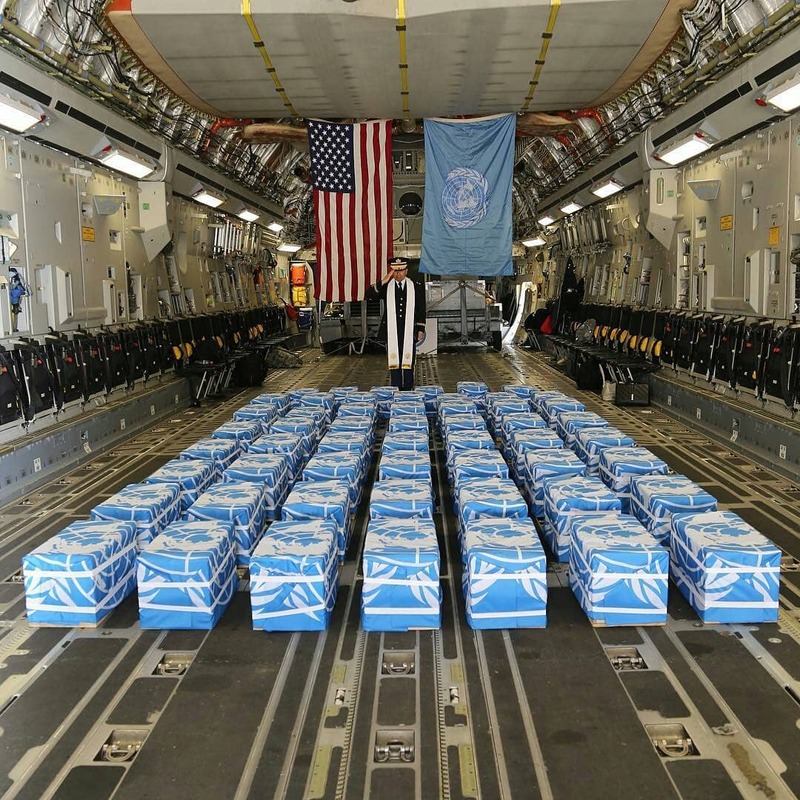 I don't know why recovering the remains of our fallen is so important to me and others. If you were to take the time to think about it logically it really isn't that big a deal...if you're thinking logically that is. Like I said, I can't explain it but it is. The effort to denuclearize N. Korea might fail horribly. Trump's efforts might be for nothing. But in my mind even if he fails he's still won. First he got these guys home. Repeating myself but that's a big deal. Second at least he tried...and tried big. He stepped out of the status quo, did something different and for now at least the North is responding. Last is the fact that even if the talks fall thru the North and South are again talking. The effort might fail but its already been a win on many levels. Plus these boys are coming home. Sidenote. Notice that they're under the UN flag. These are supposedly the remains of US soldiers but they could easily be found to be the remains of our allies that participated in this fight. That means we could be a transit point for Aussie, Canadian, UK, S. Korean and other soldiers to finally make it home. This is sad and awesome, almost joyful at the same time (don't get that twisted...on this one dig into the meaning before you send fire about my last sentence).